If you've missed out on a chance to gorge on unlimited Olive Garden pasta in the past, this could be your year. The restaurant chain said Monday it will put up 21,000 passes for sale during its annual promotion. That's ten times more than last year, when 2,000 were put up for grabs, and they were all sold within one minute. The passes cost $100 each, and they grant diners unlimited pasta bowls, soft drinks, salad and bread sticks for a seven week period that begins October 3 and ends November 20. This year, chicken alfredo will be included in the deal -- which Olive Garden says is its most popular dish. The passes are popular. The chain said that last year the average owner of a pass ate 28 meals at an Olive Garden over the seven week period. That's about one in five meals. 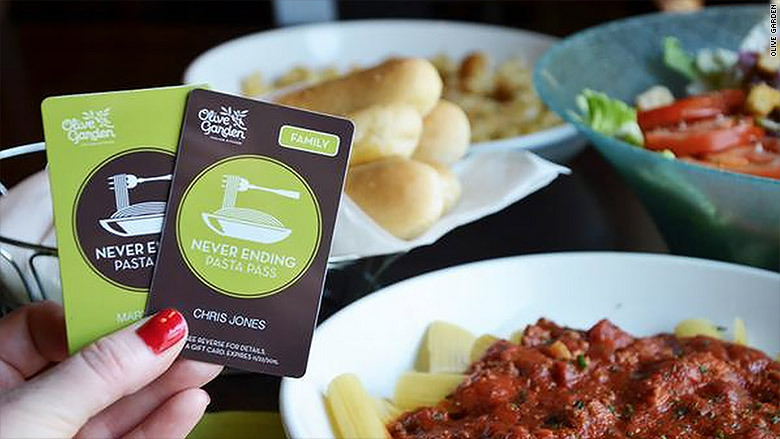 Olive Garden's pasta passes will go on sale Thursday at 2 pm ET. The one-hour online sale will start Thursday at 2 p.m. ET. 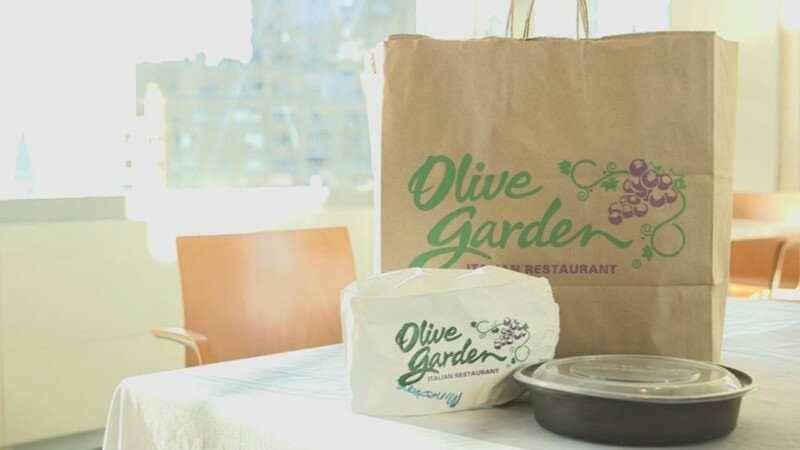 Olive Garden -- which is owned by Darden (DRI) -- says 21 additional passes will be put up for auction on eBay (EBAY) after the initial sale ends. The company promised to donate the proceeds to Feeding America, a nonprofit that operates food banks across the U.S. This is the 21st year that Olive Garden has put on an unlimited pasta promotion, and it's been a perennial fan favorite. This year is the largest pasta pass sale Olive Garden has ever offered.